Both residents and non-residents working in Germany are liable to income tax and the system can become very complex, especially when factoring in earnings from other countries. We have extensive knowledge and experience with all other European regulations so we can ensure that you are always paying the appropriate amount both in Germany and in other countries. We work with business and freelance workers, preparing and filing their contributions every month. We apply accurate and legitimate exemptions and deductions as well as avoiding any instances of double-taxation. By working with Intertax Consult we guarantee that the tax you pay is always on time, correct and double checked against the many laws and possible exemptions in Germany and across Europe. 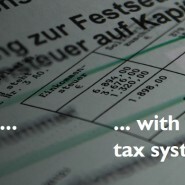 Speak with one of our European tax experts today!